Lancia Homes holds a A+ rating with the Better Business Bureau. 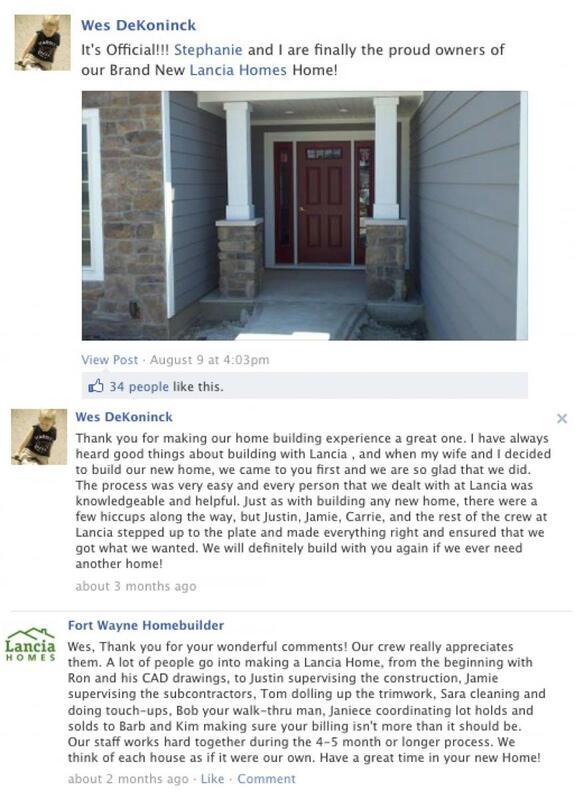 Join us for more satisfied testimonials on our Facebook site! Charley Butcher and WOWO radio testimonials. 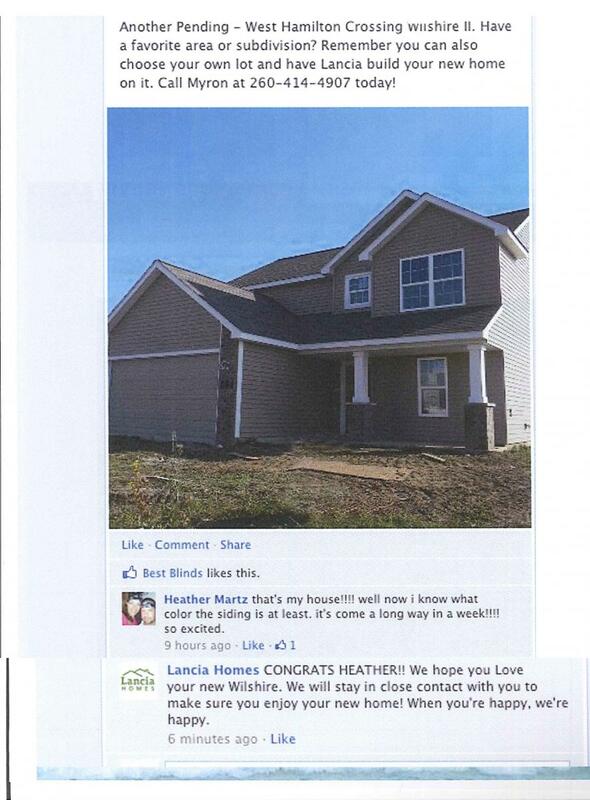 See Charley's son and daughter-in law's home being built! Thank you Lancia Homes for making our dream come true! Listen to John & Tiffany Kinney explain how much they love their new Lancia built home, the Autumn Whisper. Teri R. and Ron L.
Hello Jim Lancia! Thank you for everything! We love our new home (so much that we couldn't leave). :) You're the best! 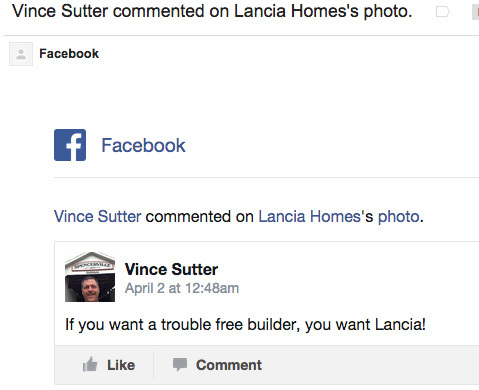 Jim Lancia was the building contractor for my home at 509 Teders Street in Avilla. The home was built in the summer of 1977. Jim and his team did an outstanding job building my house. I have not had any problems with my house in the past 35 years. My home still has the original furnace. I recommend Lancia Homes for your building needs.